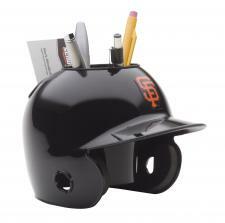 San Francisco Giants Mini Batting Helmet Desk Caddy | Sports Memorabilia! These cool but functional caddies hold business card, pens, highlighters etc. These Caddies are made by Schutt and feature authentic team colors and decals.